William Henry Harrison won a landslide victory in the presidential election in 1840, in part because of his reputation as the hero of 1811’s Battle of Tippecanoe. The 1840 U.S. presidential election was notoriously light on discussions of the issues. While incumbent Democrat Martin Van Buren and Whig challenger William Henry Harrison occasionally touched on executive power and economic policy, their parties spent the majority of the race engaging in mudslinging, political theater and sloganeering. This was particularly true of the Whigs, who framed much of their campaign around Harrison’s heroic role in an event from nearly 30 years earlier: the Battle of Tippecanoe. The fight in question took place in 1811 during Harrison’s tenure as governor of the Indiana Territory. At the time, the U.S. government was engaged in an aggressive policy of seizing frontier land from Native Americans. The efforts alarmed the Shawnee chief Tecumseh, who formed a pan-tribal confederation to resist white incursions onto native land. Tecumseh and his brother Tenskwatawa, a holy man known as “the Prophet,” eventually founded the village of Prophetstown near the Tippecanoe River in northwest Indiana. 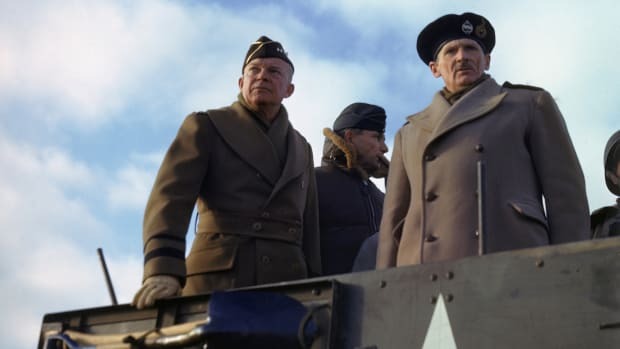 When they started using it as a rallying point for new recruits to their cause, Harrison raised an army of roughly 1,100 men and marched to confront them. Harrison’s army arrived on the outskirts of Prophetstown on November 6, 1811. The Governor set up camp and scheduled a council with the Indians for the following day, but at around 4 a.m. on November 7, the Prophet led some 600 warriors in a preemptive ambush. The attack caught the sleeping American camp almost totally by surprise. Pickets and sentries were overrun, and soldiers awoke in their tents to the crack of gunfire and the whistling of arrows. Harrison later described the onslaught as “a monstrous carnage,” but his bleary-eyed troops managed to stand their ground during two hours of scattered hand-to-hand combat. Finally, as dawn broke, Harrison ordered a counterattack that forced the Indians into a general retreat. His troops spent the rest of the day licking their wounds and fortifying their camp. The following day, they marched on Prophetstown—which the Indians had evacuated—and burned it to the ground. 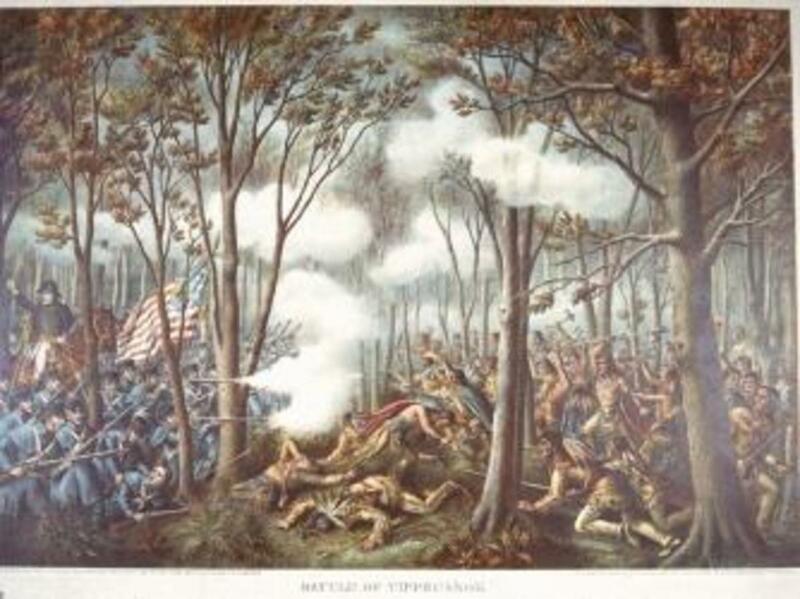 The victory at Tippecanoe was not without controversy. The American force suffered nearly 200 casualties—more than their native attackers—and critics argued that the clash only increased Indian resistance and pushed Tecumseh into an alliance with the British. Harrison, however, was celebrated as a hero. He later cemented his reputation during the War of 1812, when he decisively defeated Tecumseh and the British at the Battle of the Thames. After the war, “Tippecanoe” Harrison served as a U.S. congressman, senator and ambassador before settling on a farm in North Bend, Ohio. He was living in semi-retirement in 1836, when the Whig party enlisted him as one of four regional nominees for president. Harrison lost the election to Democrat Martin Van Buren, but four years later, the Whigs nominated him for president again, this time as their lone candidate. Harrison was 67—older than any previous American president—and he hadn’t held an important elective office in over a decade. Yet the Whigs were convinced that he would match up well against Van Buren, whose popularity had taken a substantial hit in the wake of an economic recession brought on by the Panic of 1837. 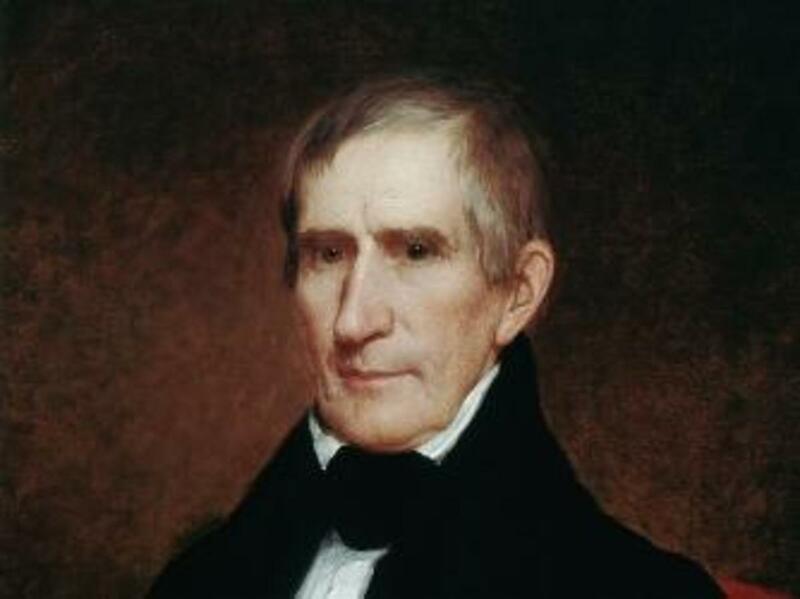 On February 9,1773, future President William Henry Harrison was born on the Berkeley Plantation in Virginia. Harrison’s reputation as a war hero proved to be a key factor in the 1840 election. 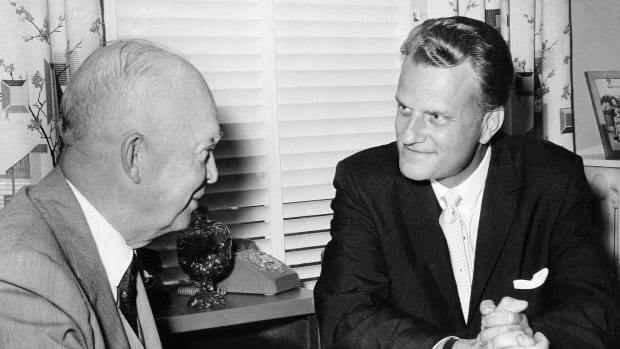 In an unprecedented move, the Whigs ran him without a well-defined platform and instead focused on a grassroots campaign that included parades, political rallies and barbecues. 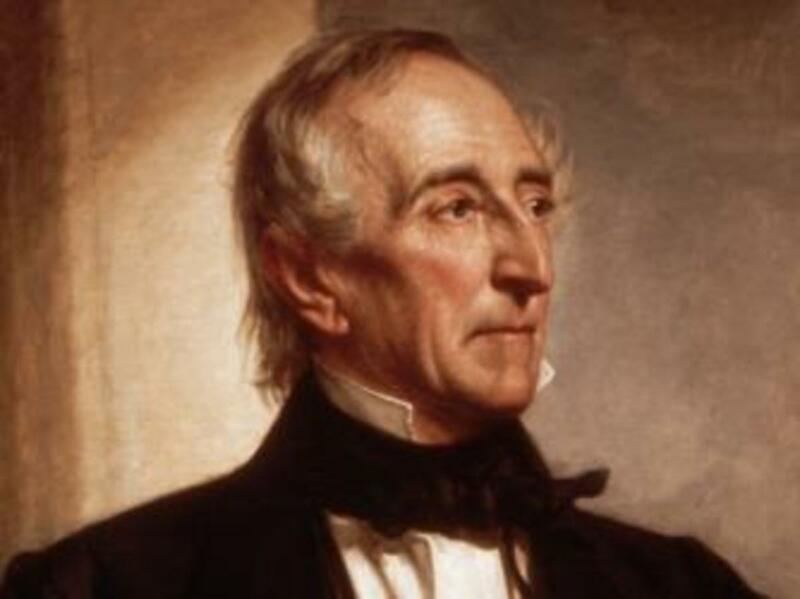 “Tippecanoe and Tyler Too”—a reference to Harrison and his running mate, John Tyler—became the catchphrase of the election, and the candidate appeared in countless posters sitting astride a horse and wearing a military uniform. Harrison supporters dragged “Tippecanoe canoes” through the streets and rolled large paper and tin balls covered with campaign slogans. In May 1840, over 30,000 of them flocked to the Tippecanoe battlefield in Indiana for a two-day rally. The Whigs also carefully managed Harrison’s image. When a Democratic newspaper quipped that the aging candidate should retire to a log cabin with a barrel of hard cider, the Whigs embraced the insult and began marketing him as rugged man of the people. 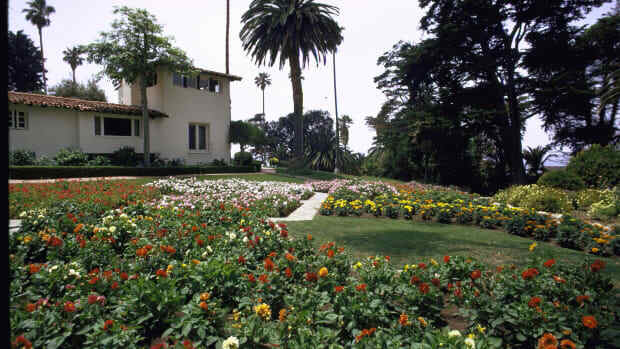 In contrast to Van Buren, who was depicted as sipping fine wine in his “presidential palace,” voters were told that “Old Tip” bedded down in a humble home and slugged cider. The characterization was far from accurate—Harrison was actually a well-educated man who lived in a large farmhouse and rarely drank—but his rustic persona made him hugely popular. The Whigs even began peddling Tippecanoe and log cabin-branded products such as shaving soap, whiskey bottles and dinner plates. On a wet and chilly day four months later, Harrison was sworn into office in Washington. Despite the nasty weather, the now 68-year-old President neglected to wear a coat or hat and gave a speech that clocked in at nearly two hours—the longest inaugural address in American history. 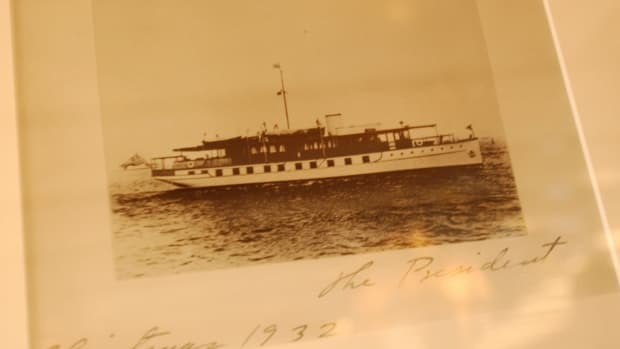 It’s traditionally believed that the marathon speech was to blame for an apparent case of pneumonia that Harrison developed a few days later, but more recent research has suggested that he may have gotten sick from contaminated drinking water. Whatever the cause, the old war hero faded fast and died on April 4, 1841. 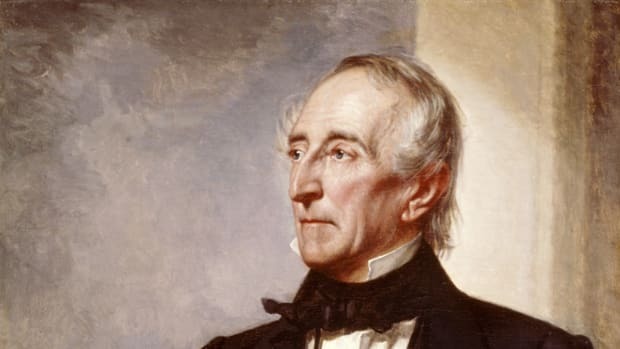 In the end, the thousands of American who had voted for Tippecanoe ended up getting John Tyler, too—nearly four years of him. 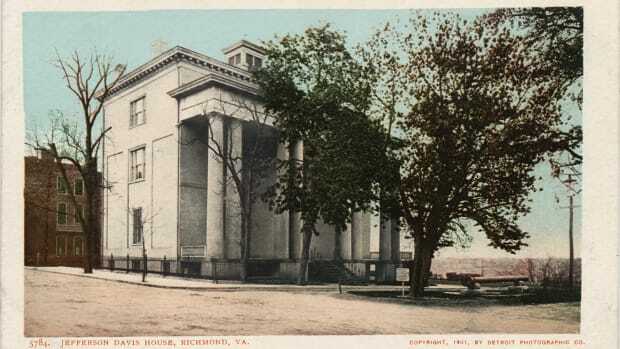 The former Virginia senator became the first vice president in history to succeed a deceased commander-in-chief, but his tenure was marred by squabbles with the Whigs, who eventually expelled him from the party. Harrison, meanwhile, has largely faded from popular memory. Along with his famous campaign slogan, his 32-day administration is perhaps best known for being the shortest in American history.